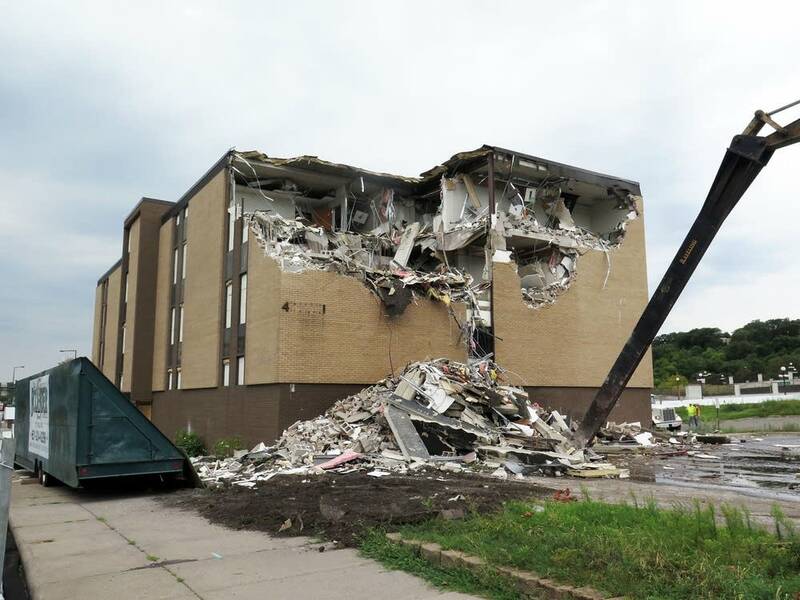 Demolition began Monday on the site of the building that will replace the overflowing Dorothy Day homeless shelter in downtown St. Paul. 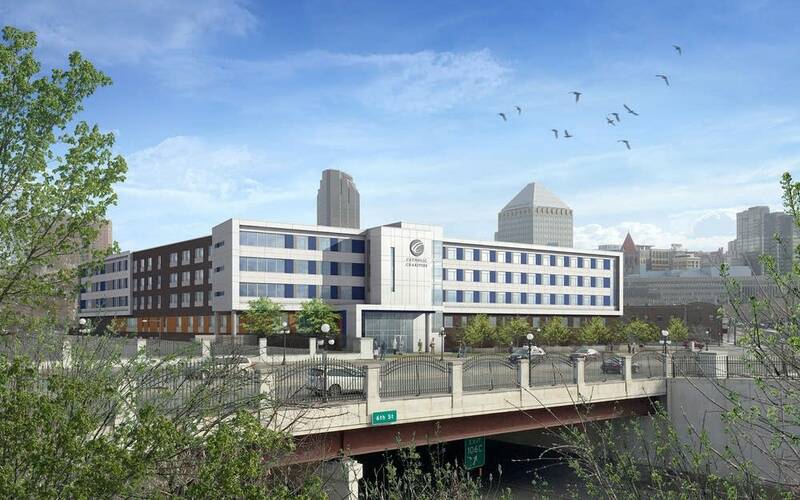 The new Higher Ground building will be built at 411 Main St. near the Xcel Energy Center, where a former union office building is coming down. It's the first of a two-phase $100-million project that aims to become the largest effort to house and help the homeless in Minnesota history. When the five-story building opens in 2016, it will offer shelter to nearly 300 people a night and provide long-term housing for nearly 200 more, according to Tim Marx, CEO of Catholic Charities in the Twin Cities which owns Dorothy Day. Since it opened 34 years ago, the Dorothy Day Center has gone from a drop-in cafeteria for a few dozen homeless people to a living space of last resort for hundreds of people a night. "We are only reinforced in our need to build and sustain and operate this project because of what you see that goes on at Dorothy Day every day," said Marx. 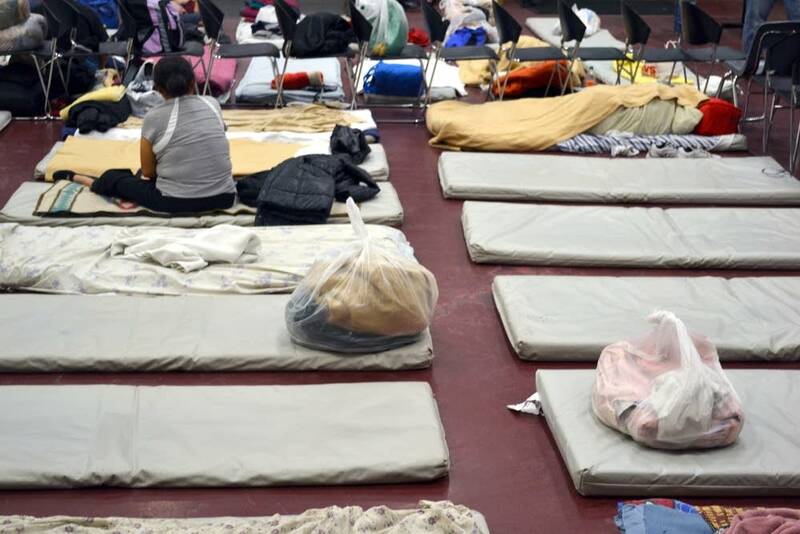 "Still 250 people on thin mats or in dilapidated circumstances. People camping outside and we can't accommodate them all." A second phase will break ground in 2017 and will replace the Dorothy Day Center, which now provides support services to about 350 homeless people a day. A new so-called Opportunity Center will serve nearly a third more and add more housing. The two phases together will boost Catholic Charities' beds in downtown St. Paul by more than 50 percent. The new project will include a new purpose-built emergency shelter with regular beds, as well as new pay-for-stay beds that help people save up enough to get an apartment, among other things. There will also be new medical services and offerings aimed at veterans. The Dorothy Day Center will provide services until the new facilities are ready, and Catholic Charities will eventually move out of the building. Marx said Catholic Charities has already secured $28 million of public funding. "We will be at the Legislature again next year to secure more for the Opportunity Center part of phase two of the new Dorothy Day vision," Marx said. A $40-million private fundraising campaign started in May. Marx said he's not ready yet to put a number on the progress. "But things are going well," he said. An official groundbreaking for Higher Ground is scheduled for October. The two phases of the new downtown St. Paul campus are scheduled to be complete in 2018.